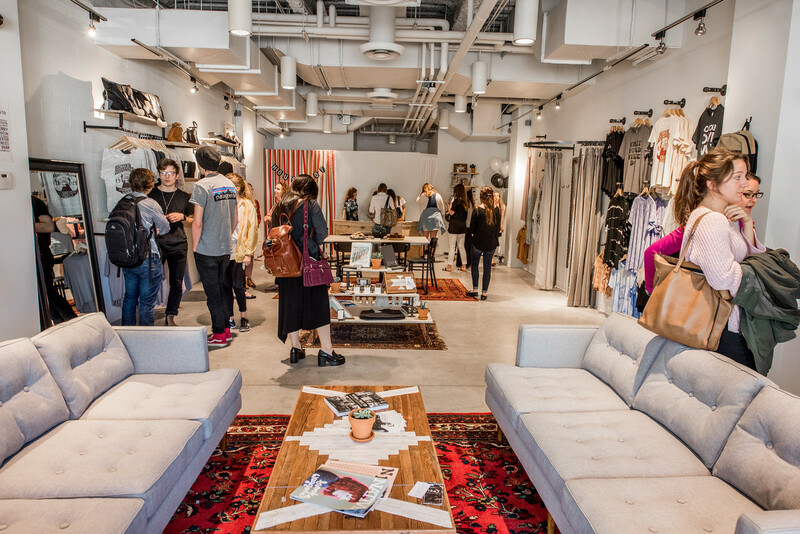 New Nashville fashion boutique House Of opened its doors last Friday with a Spring Launch Party to celebrate the opening of the student-run retail concept. The store, located on Belmont Boulevard near the trendy 12 South shopping district, is the result of a unique partnership between Belmont University entrepreneurship students and the Nashville Fashion Alliance, and the outlet will provide the Nashville community with a curated group of local designers and brands. The one-of-a-kind shopping experience will be augmented with in-store events, trunk shows and networking events featuring creative talent from the region. Considering itself both a retail store and fashion lab, House Of will feature a rotating list of designers and brands offering collections of clothing, accessories, shoes, stationary and home goods that represent the best of emerging regional talent. Samples of items for sale can be found on the store’s Instagram account, @HouseOfNashville, which already has more than 870 followers. The uniqueness of this idea emerges from the “learning lab” partnership between college students, the Nashville Fashion Alliance and local designers. 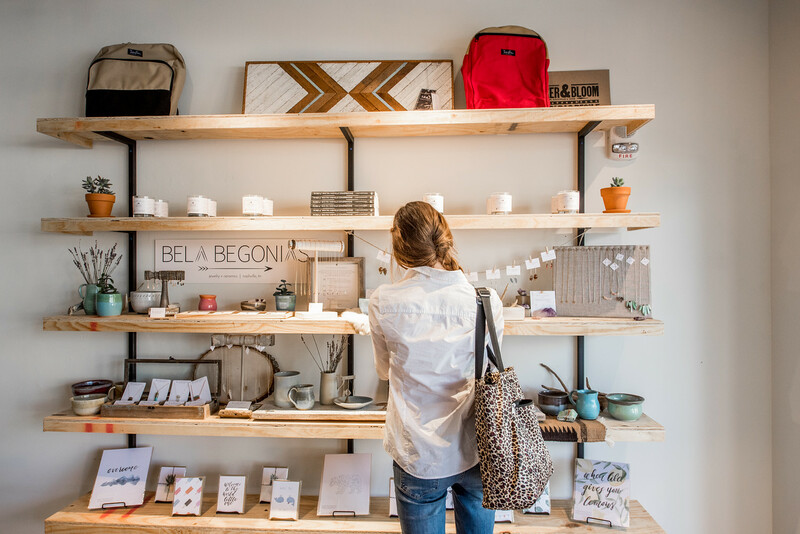 House Of also offers Belmont entrepreneurship students hands-on experience running every aspect of a store. Each student involved is assigned a specific role (communications, events, sales, merchandising, etc.). Belmont’s entrepreneurship program has been named as one of the Top 25 Undergraduate Entrepreneurship Programs in the country by The Princeton Review and has also been recognized as a National Model Undergraduate Program for Entrepreneurship Education by the United States Association for Small Business and Entrepreneurship (USASBE). In 2010, the program was featured as one of five schools to consider when studying entrepreneurship by Fortune magazine. In addition to the prime retail space for student-run businesses on Belmont Boulevard, on campus Student Business Hatcheries provide an office environment containing basic resources and support to help students as they develop their own entrepreneurial ventures. Students are advised by faculty, staff and local entrepreneurs who are part of the Belmont Entrepreneur Network. Other resources available to students include free legal clinics, accounting clinics and practicing entrepreneur roundtables. The Nashville Fashion Alliance is a trade organization representing over 350 regional members. The mission of the NFA is to incubate and accelerate fashion companies throughout the entire eco-system through advocacy, economic & resource development and education. More information is available at www.nashvillefashionalliance.com.